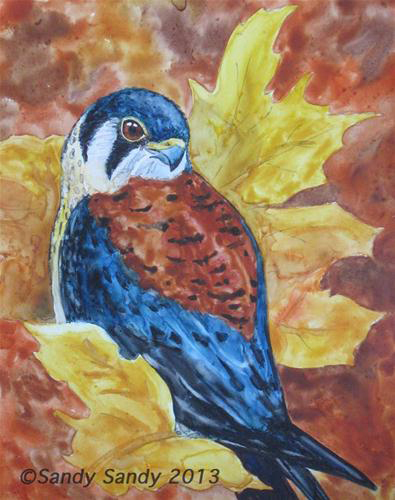 This cute little American Kestrel is actually a small falcon. He's a deadly predator of tiny rodents. Like clockwork, he'll on thetelephone lines every morning, waiting for his breakfast to show up.